We have a great universal micro-h frame, ultra light, weighing in at only 1.9 grams. Double sided foam wraps the motor and hols them into the ends of the arms. Designed to work with the Blade Nano QX. swapping your Nano QX electronics to this frame is extremely easy and requires no soldering. 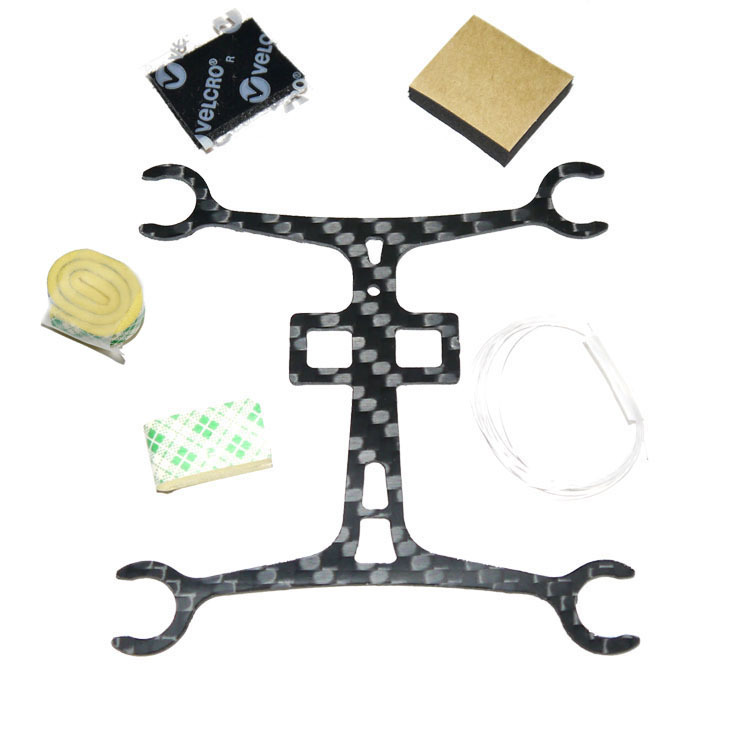 Unplug the motors from your Nano FC board and mount to the center of the frame. remove the motors from your Nano and wrap with the included foam tape and press into place at the end of each arm. Plug your motors back in and your finished. The frame is cut from 1.0mm sold carbon fiber 3K twill weave with a high gloss finish. We designed this frame to be as minimalist as possible of the best in flight times and agility. Our choice of foam for the motor mounts was for a couple of reasons, eliminates any extra hardware, keep the frame light and easy to build.